At the end of April when we watched Round 1 of the Wexford Senior Hurling Championship, we had just emerged from several months of severe winter weather. But as round 2 got underway on Saturday last, July 21st, it looked and felt like a different country with the recent drought conditions turning the pitches many shades of brown and orange, and giving players a wonderful Mediterranean look. On Saturday evening the action kicked off in O’Kennedy Park, New Ross, with the men of Enniscorthy facing Wexford outfit Faythe Harriers. The biggest talking point as the match got underway was the absent scoreboard. Some people rooted out pens and scraps of paper to try to keep track, but inevitably several well-meaning supporters had varying versions of the score at any given time. The Twitter accounts of the Rapps and the Harriers were no help, but in fairness to the operator of the twitter machine for @GAAScoresWex, there were updates at various stages of the game. If you were from the Rapps, it wouldn’t have bothered you too much in the first half as they appeared to be coasting, having a 10 point lead at one stage. With Liam Ryan firmly ensconced in the full-back spot, there was no real threat on Eamonn Furlong’s goal, while further up the field the Mahon family were doing the business. After the break, the Harriers began to believe with centre-back Richie Kehoe providing inspiration on what looked like one leg at times. His heavily strapped knee just about kept going, but he has the heart of a lion and there’s no substitute for true grit. As the game got to the business end, the real talking point was taking shape. The Rapps were hanging on to a two-point advantage when the ball was deflected out for a ’65. The makings of a perfect finish looked a possibility! Jim Berry floated the resultant ‘65 into the small square, and true to script, the ball found it’s way to the net. What wasn’t so obvious at this stage was that referee David O’Leary had blown the full-time whistle before the ball reached its destination. Much confusion and gnashing of teeth ensued and without the scoreboard to confirm anything to the onlooking spectators, nobody was sure of the actual outcome for a little while after. But, for the record, it finished Raparees 2-19 – 2-17 Faythe Harriers, and that makes it 4 points from 2 rounds for the Raps, while the Harriers remain on zero. The second game of the evening pitted Rathnure against Glynn-Barntown. At this stage, we were beginning to get used to the ‘no scoreboard scenario’ and at least the Rathnure and Glynn-Barntown tweets were coming thick and fast. Glynn started the brightest and had 1-02 scored, courtesy of Michael O’Regan before Rathnure got off the mark. Similar to the first game, it looked like there would be only one winner after watching the first thirty minutes, but maybe there’s something in the half-time water in New Ross because Rathnure took to the field for the second half looking like a different team. The produced a second-half display that was full of grit and determination with Wexford U-21 star Rory Higgins springing to life with two great goals. Once they got their noses in front, Rathnure kept themselves in pole position and had 3 points to spare over Glynn-Barntown at the finish on a 2-17 to 1-17 scoreline. Despite the loss of Jack Guiney to America for Round 2, that’s full marks for Rathnure from two rounds. For Glynn/Barntown, they remain with one point on the board following their first-round draw with Oulart-The Ballagh. The action moved to Wexford Park on Sunday afternoon where the grass was a little greener than it had been in New Ross the previous evening. The first game at 2pm saw reigning county champions St. Martin’s take on Shelmaliers. The programme told us that Justin Heffernan would be the man in the middle, but all Wexford GAA supporters know Justin, and this just wasn’t Justin. Some questioning of regular match goers was necessary and eventually, the mystery was solved. It was none other than Ballygarret’s Shane Quinn and a fine free-flowing performance was produced by the 22-year-old. One St. Martin’s man might count himself lucky not to have got his marching orders for what is sometimes referred to as a ‘mistimed pull’. The Martin’s always looked the better side and even though the Shels stayed close to them on the scoreboard, the men in maroon looked like they could step up another gear if necessary. And yes, this time we had a scoreboard that lit up – and even told us the time. We’d have settled for a young lad up a ladder with some chalk and a board though after the previous evening. St. Martin’s fielded without the injured pair of Rory and Joe O’Connor as well as the US-based duo Harry O’Connor and Joe Coleman. They’re a team that will take a lot of beating when they have all their soldiers on the field as the championship moves to the closing stages. The scoreline at the finish read St Martin’s 3-18 Shelmaliers 1-8. That’s the full 4 points for the Martin’s and 2 for the Shels after their two rounds of hurling. The 3.30 pm game featured Buffers Alley and St. Anne’s. This time the match referee was the one listed on the programme so there was no need to consult the experts. Niall McDonald took charge of the action – and while there was a lucky break for a player in the previous match, this time a Buffers Alley player wasn’t so lucky as he received his marching orders for an overhead pull which was deemed ‘mistimed’ by the man in the middle. This game was evenly contested in the first-half, but the Anne’s came out in the second half and took the Alley completely apart. There must be something in the half-time water in Wexford Park too, but only one team appeared to avail of it again. Those tipping the Anne’s to go back down to Intermediate may need to take another look and currently, the Alley appears to be on very shaky ground. Full time in Wexford Park for the second-game read St Anne’s 3-22 – 1-12 Buffers Alley. After the first two rounds, St. Annes’s are off the mark with 2 points, while the Alley are still on zero. For the evening, the action moved to a burnt Bellefield pitch where the 6.00pm game featured last year’s beaten county finalists Oulart/The Ballagh against an up-and-coming Oylegate-Glenbrien team, who look like they have built on last year’s good showing in the championship. Oulart, who were without a number of injured stalwarts, showed signs of brittleness throughout. Oylegate came racing out of the blocks but things settled after the opening 10 minutes and remained pretty close for much of the game thereafter. As the second half progressed, it was edge of the seat stuff as both teams pushed for the finish line. When Seamus Casey put a free narrowly wide, it looked like Oylegate missed their opportunity to capitalise, but moments after, Casey took the headlines from hat-trick-hero Podge Doran after he stepped up and put two wonderful scores over the bar to give Oylegate a one-point win. Without a doubt, Oulart will be disappointed with the loss, but Oylegate were full value for the win – and could possibly be major contenders when we reach the knock-out stages. There’s more in Oulart too – and even though they find themselves in the unusual position of having just one point after two games, they’re not finished yet. Some were saying it just might be the beginning of the end, but I wouldn’t put my money on that just yet. Oylegate are now sitting pretty with maximum points from their first two championship outings, with the final score for this game reading Oylegate-Glenbrien 3-18 Oulart/The Ballagh 3-17. The final game of Championship Round 2 was the meeting of Naomh Eanna and Ferns. We expected a tough, dour contest where both sides would dig in and battle it out in championship mode. Similar to the second game in Wexford Park, it failed to ignite in the first half but there was one moment of brilliance in the opening thirty minutes when Gorey’s newest recruit, Cathal Dunbar weaved in and out with alarming pace between Ferns defenders and cracked home a brilliant goal midway through. In the second-half, we saw Naomh Eanna pull away with ease from their Ferns opponents, just as St Anne’s had done earlier in Wexford Park, and the absences of both Ryan Nolan and Paul Morris were becoming more and more evident as the game progressed. The half-time water is good in Enniscorthy too, but again, there was only one team consuming it and the Gorey boys went on to win comprehensively on a scoreline of 3-22 to 0-16. This win gives Naomh Eanna 2 points, while Ferns are yet to get a win under their belts and remain on zero. It’s good to be back in championship mode, and hopefully, winter won’t be upon us again before we finish. This article was submitted via email. 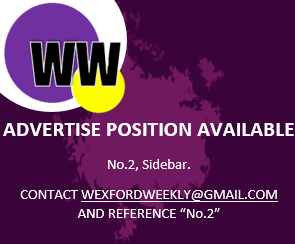 If you would like your article on Wexford Weekly, email us or use the ‘Submit An Article’ tab. For (1, 2 or 3 months) advertising, please contact us here – and your ad will appear on all of our articles.